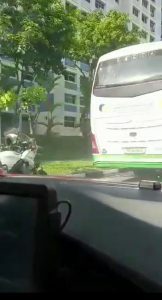 A 67-year-old cyclist was killed in a road mishap with a bus in Jurong West on Wednesday morning at 8:28 am. The accident happened at the junction of Jurong West Avenue 5 and Jurong West Street 82. The police responded to the incident and investigated what really happened. Paramedics at the scene tried to revive the 67-year-old male cyclist but he was pronounced dead later. The 56-year-old male bus driver was arrested for causing death by a negligent act. Shin Min Daily News reported that the bus involved in the accident was a private vehicle. For the past months and over the years, more cyclists were hurt or killed in traffic accidents in Singapore. 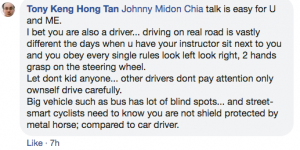 In December last year, a cyclist and a lorry were caught in a road rage at Pasir Ris. The cyclist whacked the side mirror of lorry, prodding the lorry to knock him off road. 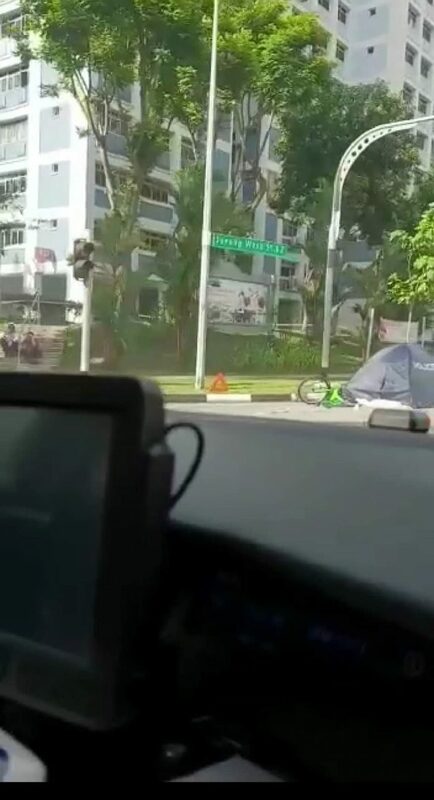 Same time, a 67-year-old man cyclist was pronounced dead after the accident with a bus at the junction of Lower Delta Road and Jalan Bukit Merah. In October last year, a female cyclist was badly injured after she was hit by a van in Boon Lay towards Upper Jurong Road. In February last year, a car collided with a cyclist at a zebra crossing after failing to stop in time near the Tuas Pek Kong Keng Temple in Jurong West. 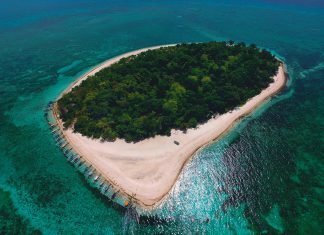 According to Cosmas LLC, a Singapore-based law firm handling matters related to motor accidents, every person riding a bicycle on a road has the same rights as any other motor vehicle. The exception is when a bicyclist is riding on a sidewalk or other pedestrian pathway, in which case he or she has the same rights as a pedestrian. Conversely, just as a person on a bicycle as the rights of a motorist or pedestrian, he or she also has the same or modified legal responsibility to operate the bicycle safely. The Land Transport Authority provided a guide for the safety of all cyclists. Under the Road Traffic (Bicycles) Rules and other road-related rules, all cyclists must abide by the same traffic rules as other motorists. Singapore has always encountered road accidents involving cyclists. 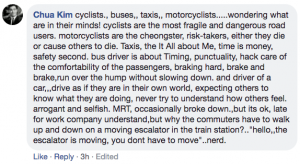 With the recent one, netizens gave out their comments to the cyclist and to the motorists in general.